ABEC understands that schedule is critical and unplanned bioprocess equipment downtime is not an option. We are focused on getting to the root cause(s) of equipment problems and providing customers with solutions. Every emergency service includes full project Turn Over Package (TOP) documentation and Authorized Inspector if needed. 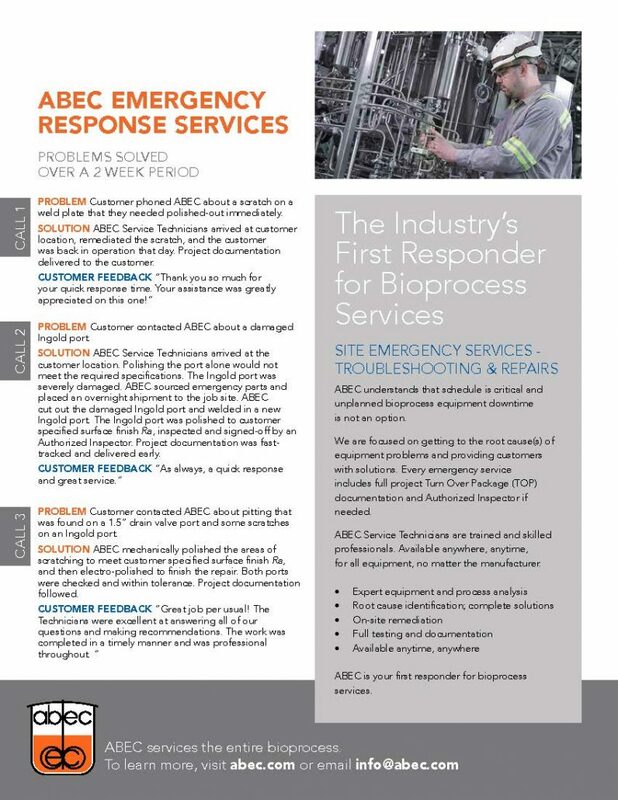 Read about some of ABEC’s services customers experiences.